The agency has been working with the automotive brand for more than 20 years. 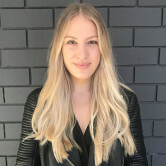 Saatchi & Saatchi, which acquired MercerBell at the beginning of 2016, has also been bolstering its Melbourne team in preparation for Toyota's move. The Melbourne creative industry has undergone a huge shake-up recently with the arrival of The Monkeys, Thinkerbell, The Hallway and With Collective. L-R: David Bell, Julie Dormand and Nick Mercer. MercerBell is the latest agency to announce it will be opening a Melbourne shop. The move comes as MercerBell's client Toyota prepares to migrate its headquarters from Sydney to Melbourne. Founder and CEO Nick Mercer will relocate to Melbourne mid-November to oversee the set-up of MercerBell Melbourne and the transition of the team. "We look forward to continuing our long standing relationship with Toyota as they move to Melbourne. The Melbourne market represents a great opportunity for an agency such as ours," Mercer says. 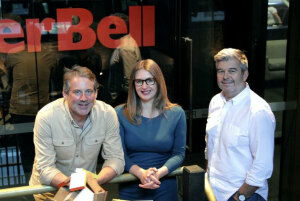 The MercerBell Melbourne staff will report into the national MercerBell management team of Julie Dormand, David Bell, Paul Henderson and Annette Barwell. MercerBell MD Julie Dormand says: “MercerBell is already working with Publicis Communications clients from Sydney and there are more opportunities for us once we are on the ground. Also following Toyota, The Media Store announced it would set up a new office in Melbourne. The agency has been working with the automotive brand for more than 20 years.